Abel Tasman morning sunrise at Onetahuti Beach, with Tonga Island and Reef Point (centre) beyond. Tonga Roadstead. 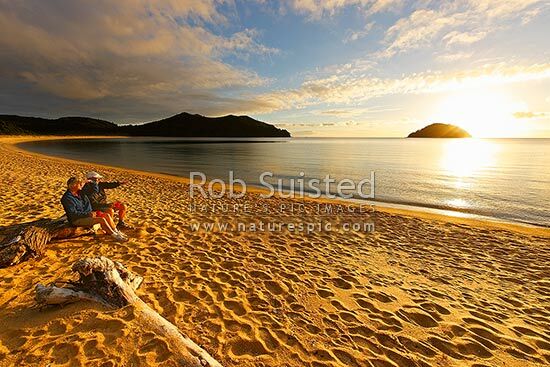 Mature couple watching sunrise with cup of tea on driftwood, Abel Tasman National Park, Tasman District, Tasman Region, New Zealand (NZ), stock photo.